Virginia “Ginny” Slater, age 86, died at her home in Jefferson Hills, Pennsylvania with family members by her side. She was born on March 25, 1932 in Youngstown, Ohio, Virginia Fay Warwick, one of two children of Maynard Charles and Faye Elizabeth (Host) Warwick. 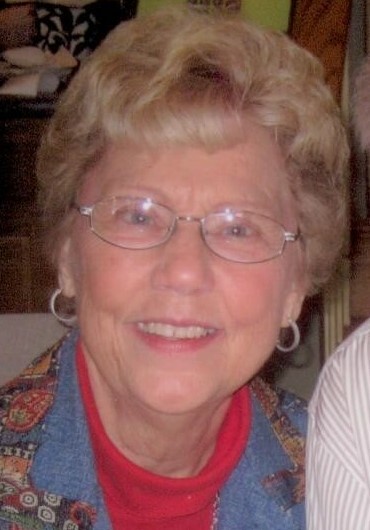 Ginny was a long-time church secretary at Lebanon Presbyterian Church in West Mifflin, Pennsylvania. In addition to her parents, she was preceded in death by her first husband, Albert William Eber in 2006 and her only sibling, Colonel Maynard C. Warwick, late of New Orleans, Louisiana. Ginny is survived by her husband of twelve years, J. Fred Slater; two sons, James A. (Debbie) Eber of South Park, Pennsylvania and Kenneth W. (Belinda) Eber of Jefferson Hills and five grandchildren, James (Amy) Eber, Katie (Jay) Banaszak, Jaclyn Eber, Amanda Eber and Jorge Eber; five great grandchildren, Landon, Carys, John, Mia and Luca. She is also survived by Fred’s family, five children, Sherwyn (Tim) Repp, John (Paula) Slater, Steve (Judi) Slater, Tim (DeeAnn) Slater and Noel (Sharon) Slater; 13 grandchildren and 6 great grandchildren. Friends will be received in the Stephen D. Slater Funeral Home 1701 Route 51 (Large) Jefferson Hills 15025 (412-384-0350) on Friday, November 23, 2018 from 2 – 8 PM. Her funeral service will be on Saturday, November 24, 2018 at 11 AM in the Lebanon Presbyterian Church 2800 Old Elizabeth Road, West Mifflin, Pennsylvania 15122. EVERYONE PLEASE MEET AT THE CHURCH. Burial will follow in the Lebanon Church Cemetery across the street from the church. If desired Virginia’s family suggests donations to Lebanon Presbyterian Church 2800 Old Elizabeth Road, West Mifflin, Pennsylvania 15122.